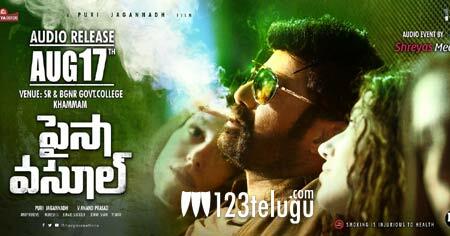 We all know that the audio of Nandamuri Balakrishna’s new film, Paisa Vasool will be launched tomorrow in Khammam. The latest we hear is that some huge crowds are expected to this event. More over, the fans in Khammam are planning a bike rally and Balayya is likely to be taken with some huge fan fare to the venue. The teaser has created a good buzz for the film and Balakrishna will rock the stage with one of his songs that he has sung in the film. As the film is a mass masala entertainer, there is a superb buzz among the masses. Anup Rubens has composed the film’s music and Puri Jagan is the director.